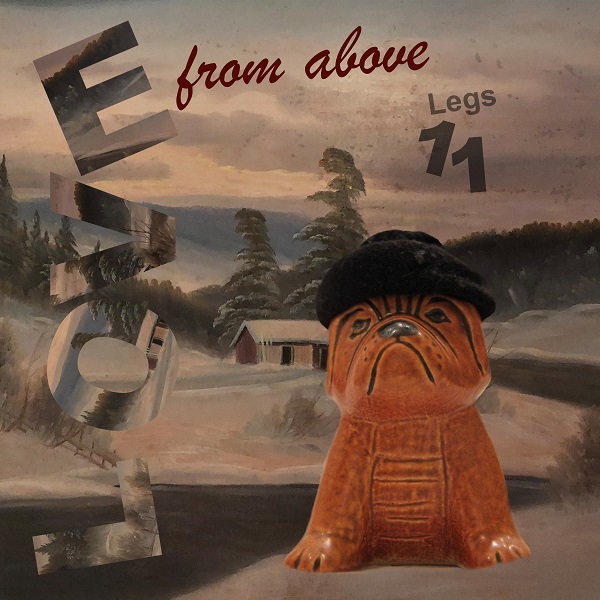 Legs 11 was formed when Sigmund Floyd of Palace of Pleasure fame, joined forces with Torstein Dyrnes from the now defunct Playstation duo Tøyen, and mysterious bedroom musician Nils Tveten. During a karaoke-fuelled haze in the seedy parts of Oslo, they discovered a shared love of synth pop, post-punk, new wave and house music. Drawing on these influences, the band has created a diverse musical universe, ranging from dark repetitive guitar driven tracks, via infectious pop gems, to deep yet melodic dancefloor-orientated grooves. In 2017 they were joined by multi-instrumentalist Audun Severin Eftevåg, who also brought a new instrument into the band: the saxophone! Prior to their debut album 'Another Wave' for Beatservice Records, they've released a string of EP's on their own label Drooling Cow Records. The album 'Better Hair Days' is a compilation of the best tracks from these EP's, focusing on the more electropop-ish tracks. The opening track, Love From Above has been revisited for this compilation, and is featured as a single prior to the album. In addition to the new version from Legs 11, the single also features a remix done by fellow Oslo Underground band Center Of The Universe.